Following the mod of the cheap lamp, I had a 12v supply lying around. I figured a good use of it would be to make a supply board for my Raspberry Pi and other devices I may want to attach to it. The supply actually outputs around 13.4 v or so which can be attributed to the tolerances of components used. 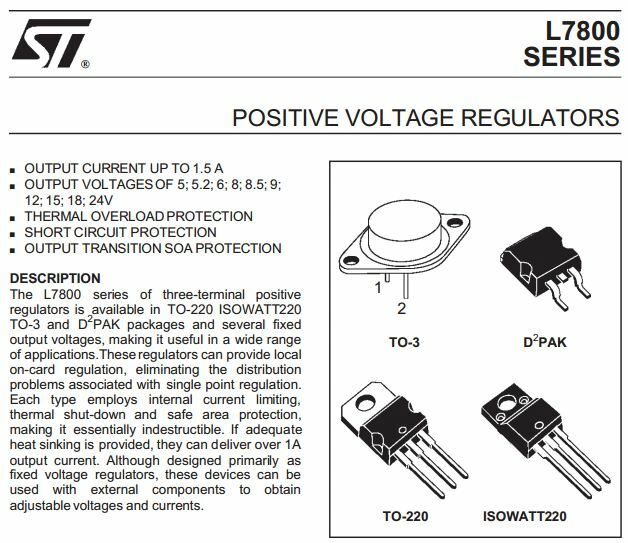 Regardless of output being greater than 12v, I can still use it with the two different regulators I ordered from Rapid, the L7805cv 5v 1A TO-220 package regulator, and the LM723 adjustable voltage regulator in a 14-DIP package. Both regulators have a maximum input voltage of 40v, so the 12v supply will be just fine. However the supply outputs an Alternating Current (AC) signal, this can be converted to Direct Current (DC), which is needed for most general electronics, by passing the supply through a device known as a Bridge Rectifier. On my breadboard I first built the circuit to output 5v in order to power my Raspberry Pi. This is a standard circuit found in the datasheet however C2 has a value of 100µF and C1 is equal to 10µF. Oopps . . . Please do remember to put the capacitors the right way round, first time I’ve ever done it, but it turns out these capacitors don’t like 12v going in them the wrong way . . . So after connecting the capacitors in the right polarity, and attaching a 7W 75Ω power resistor across the regulator’s output to load it, I attached the voltmeter to measure the output. 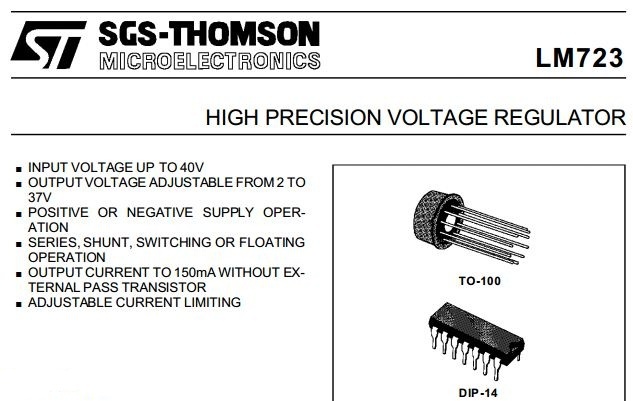 Using the 100µF and 10µF combination proved successful and outputted a solid 5.028v, however the datasheet recommends values of 0.33µF and 0.1µF. If anyone understands the reasons for the different values please do comment below because I am very curious as to why they both work. Additionally I would be interested to know why the AC signal of the 12v supply distorts as seen below when the supply is under load.